ToolsToo has over 65 shape tools! Many of the shape tools within ToolsToo use a Reference Shape as the basis for their function: when aligning left, for example, the selected shapes are aligned to the left side of the Reference Shape. The user specifies which to use as the Reference Shape by clicking one of the four large buttons in the Reference Shape group in the ToolsToo ribbon. You can see the various Reference Shapes in action in the video. 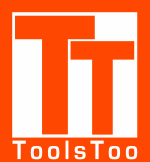 ToolsToo has more than 20 slide tools! Agenda Copier - copies agenda slides and shows progress within the presentation. This tool alone will save you hours!